A servant enters the burial chamber - then the lid of the sarcophagus opens and a mummy straightens up. The servant trembles with fear. 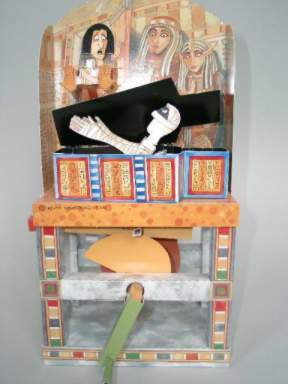 Newstead's model is part of a children's book about mummies. The book includes 16 pages with text and 4 pages with instructions. The construction sheets are stitched in the middle of the book.